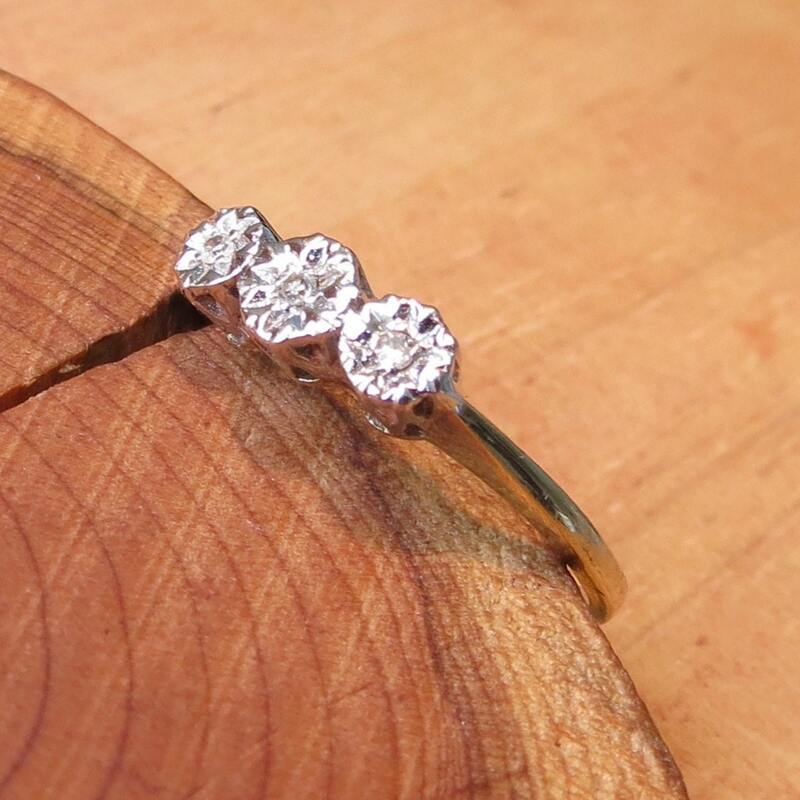 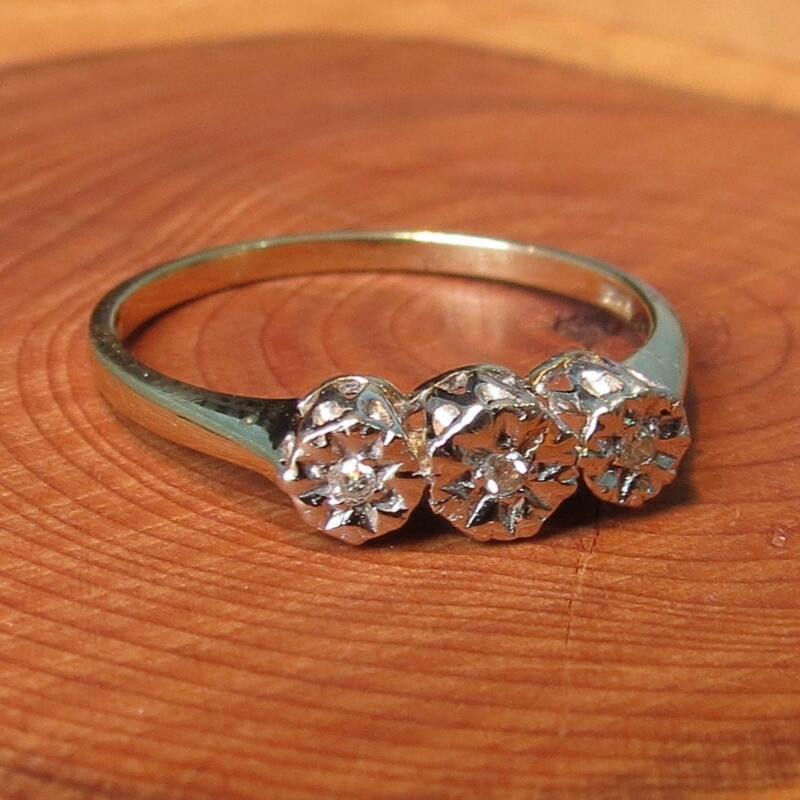 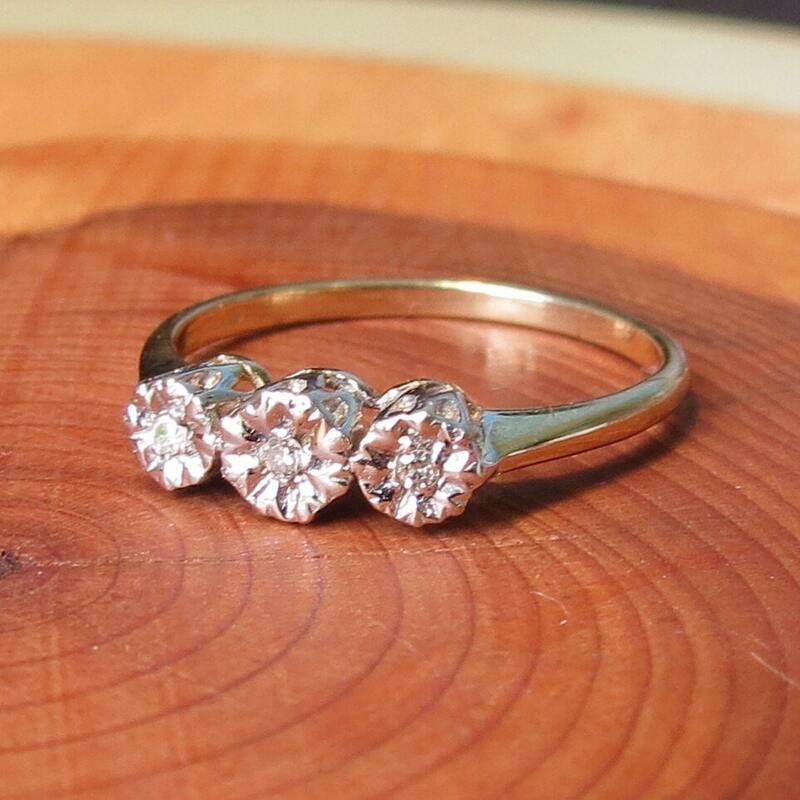 This classic 9k yellow gold ring has three brilliant cut diamonds in an illusion setting. 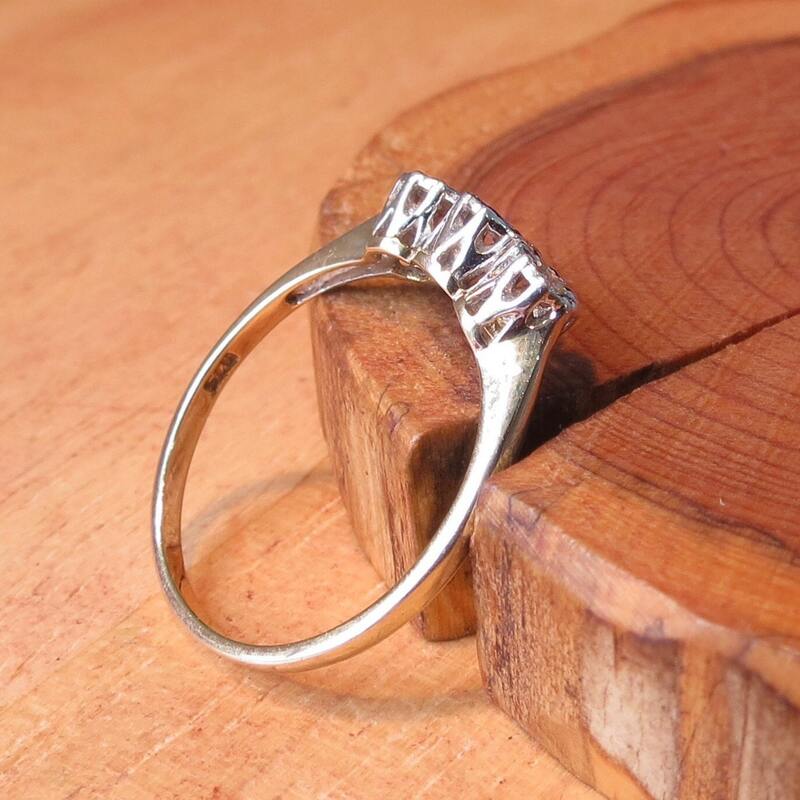 Decoratively designed in a basket mount on a plain shank. 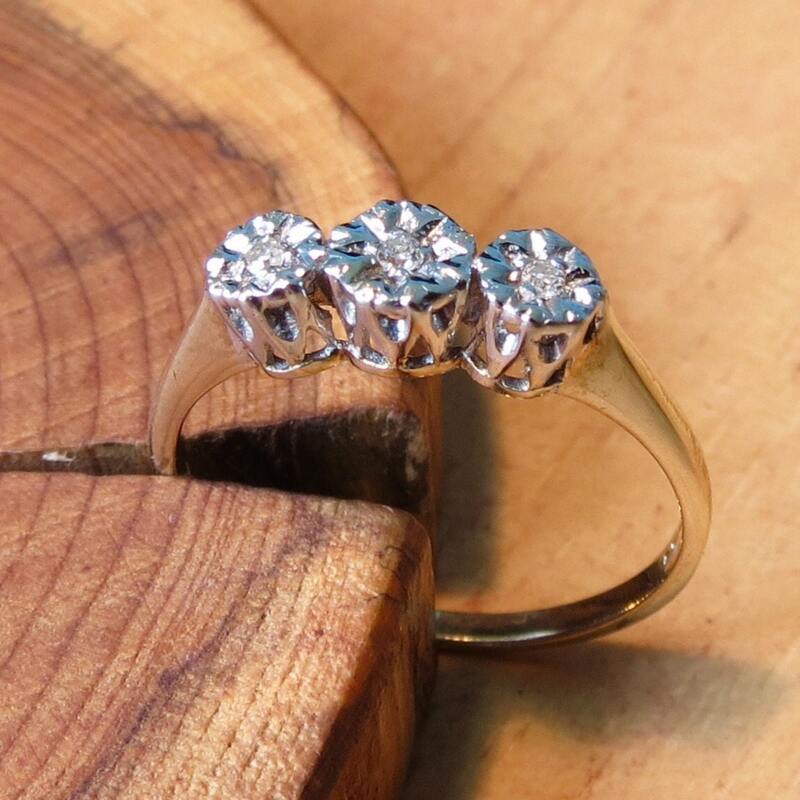 The Hallmark is British, it also has a diamond mark and makers mark.